Talks and workshops on organization and productivity are an effective way to teach a group of people practical skills which help them perform at their best. 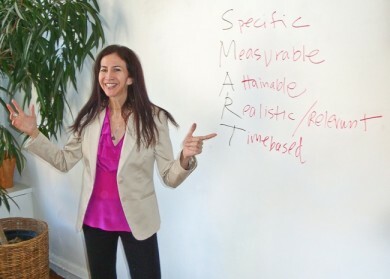 Gotham Organizers Founder and speaker Lisa Zaslow has taught thousands of people how to get organized and be more productive. She is an informative, engaging and motivating speaker, whether she’s leading a comprehensive workshop for a small group or giving a talk to a large audience. Call Lisa at (212)866-9493 or email to discuss your situation; we’ll determine the solution that’s right for your group. We’ll work with you to create a program that meets your needs and delights your participants. organizing principles they can apply immediately. Participants leave motivated to take on their own organizing challenges. The material can be customized for any format — a “lunch and learn”, speech, or interactive workshop that runs from 90 minutes to a half-day.